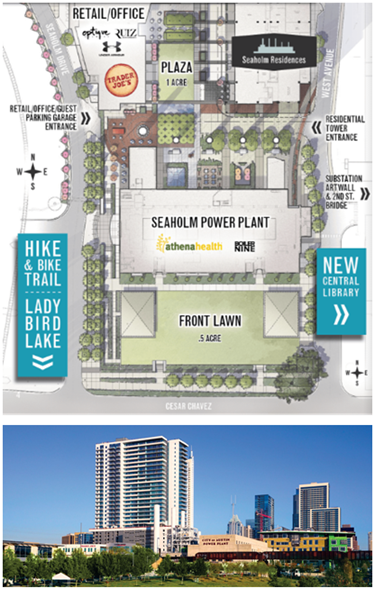 ​ AUSTIN - Condo sales at Seaholm Residences have closed out. The Seaholm Residences is a mixed-use development at the former Seaholm Power Plant located on a five-acre downtown site. The 126,000-sf plant was originally built in the 1950s. The City of Austin decommissioned the plant in the 1990s and then hired Seaholm Power LLC in the 2000s to redevelop the site.